Fatty liver is a health condition which affects a lot of individuals these days throughout the world. In order to avoid the increase in the severity of fatty liver, it becomes important to treat it effectively as soon as possible. It is not only important to treat the symptoms of fatty liver but also addressing its underlying cause can help you get maximum relief from it. And, homeopathy is highly effective and efficient in treating the symptoms as well as the underlying cause of the fatty liver. Read on to learn all about what fatty liver is, its causes, its symptoms, and how homeopathy can help have relief. Fatty liver is the accumulation of excess fat in the liver. This condition may also be addressed as non-alcoholic steatohepatitis (NASH) or non-alcoholic fatty liver disease. Accumulation of the excess of fats in the hepatic cells can make your liver swell and make it feel enlarged. When these fat cells cause inflammation to the liver cells, it is then termed as steatohepatitis. The specific cause of fatty liver still remains undefined, but it is observed that alcohol and obesity are generally two common causes of this health condition. Excess of drinking of alcohol can cause biochemical effects on your body. 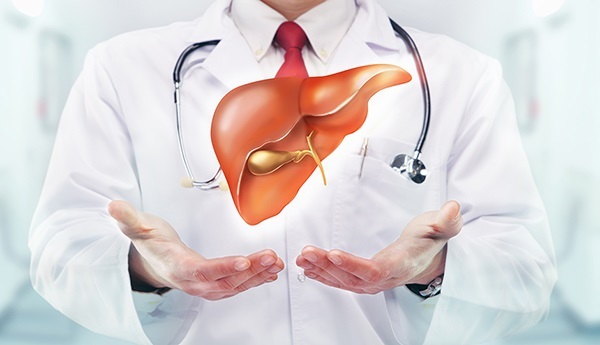 Fatty liver resulting due to the reasons other than alcohol is termed as non-alcoholic steatohepatitis (NASH) or non-alcoholic fatty liver disease. About 70% of the patients suffering from the fatty liver are found to be obese. Other diseases like diabetes and hypertension can also lead to fatty liver. Usually, fatty liver can be asymptomatic. However, some common symptoms of fatty liver include fatigue and feeling of fullness in the abdomen. Normally, fatty liver is detected in sonography in the routine check-up. In the conventional line of treatment, there isn’t any specific treatment for fatty liver. But, homeopathy acts at the root level and can give you amazing results in treating the fatty liver. When your liver is affected adversely resulting in fatty liver, it means that your liver cannot metabolize the fats deposited in the liver which leads to an excess of fat accumulation. Homeopathic medicines act at the root level and try to rectify this error. 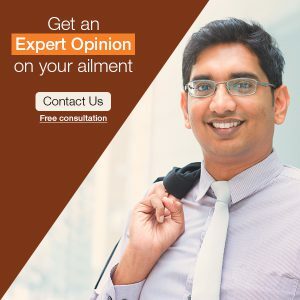 Along with homeopathic medicines, following an appropriate diet and proper exercises, which can help in reducing your weight, can fasten up the recovery process and give you best results soon. Chelidonium, Phosphorus, Nux Vomica, Calcera Carb are some of the effective homeopathic remedies that can give wonderful results in treating fatty liver. Lycopodium Clavatum: It is a great remedy for fatty liver associated with acidity and gastric symptoms. Bloating, pain on the right side of the upper abdomen, and craving for sweets and hot drinks are some of the symptoms that point out towards this remedy. Usually, lycopodium patient complains of distention as well and the symptoms get worse by evening. Chelidonium: Chelidonium is one of the remedies which is best suited for fatty liver. Jaundice along with fatty liver, feeling extremely tired, craving for both hot drinks and hot foods, pain in right side of the abdomen, and constipation are the few symptoms that indicate towards Chelidonium. Calcarea Carb: It is suited for the patients who are extremely obese and suffer from fatty liver. This remedy helps in burning out the excess of the accumulated fat. Craving for eggs, sensitive to the cold air, and profuse sweating are some of the constitutional symptoms of Calcera Carb patients. This remedy is recommended to the patients who have slow digestion and often suffer constipation. Phosphorous: This remedy is recommended to the fatty liver patient suffering from vomiting along with pain in the abdomen, sour belching, and offensive flatus and stools. Craving for ice-creams, juices, or cold drinks is peculiar symptoms that indicate this remedy. This remedy is effective in providing relief to the patient, who may also experience weakness after passing the stools. However, it is important to note that homeopathic medicines should be taken only after consultation with a good homeopath. Self-prescription should be strictly avoided. Also, prescribed constitutional medicines can give stunning results and can take care of the problems, such as indigestion. Although fatty liver might not be a harmful situation, it is necessary to treat it at the root level. When the severity of the fatty liver increases, it can lead to cirrhosis of the liver, which can be dangerous. NASH is a serious form of fatty liver which can further lead to scarring and irreversible damage. Under the proper guidance of an experienced homeopathic doctor, you can get it treated at the root level with no side-effects.